CONTACT PAGE – TEXT US AT 604-858-7546 TO BOOK! Begin your visit with a 30 minute Swedish relaxation massage to release any back and neck tension. Then, further your relaxation with our longest and most indulgent paraffin pedicure. Begin your visit with a 45 minute Swedish relaxation massage to release any back and neck tension. Then, further your relaxation with our signature hour long Classic pedicure. Start things off with an exfoliating 30 minute back scrub to soften and smooth your skin. Then enjoy a 60 minute Eminence facial that will leave your skin glowing. End off your visit with a full length Classic pedicure. Treat yourself to an indulgent day with the Silhouette package. Start with a full body 60 minute Swedish relaxation massage that will soothe sore achy muscles. 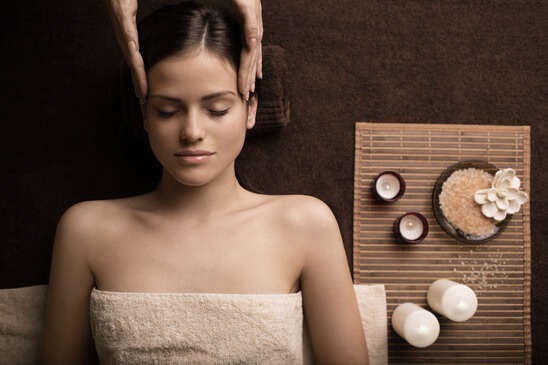 Follow your massage with a fully customized 60 minute Eminence facial that will target specific skin care concerns or simply offer a relaxing aromatic experience. Top it off with our luxurious Classic pedicure to pamper your feet. *Prices do not include tax. *Package services must be redeemed in one visit. *Package are pre-set and cannot be modified with the exception of minor upgrades such as gel nail polish or paraffin wax. Please note that we require 48 hours notice for any changes or cancellations to your appointment to avoid extra charges. If you have questions or need additional information, please call or text: 604-858-7546 or use our Contact Form!